After grad school, Catherine pursued a career as a rockstar feminist academic, while Gwen built a home with her husband and children. Decades later, each friend covets the other’s life. With searing insight and trademark wit, this new comedy takes a deep look at family, career, romance, and the decisions that define a life. A 2013 Pulitzer Prize finalist. 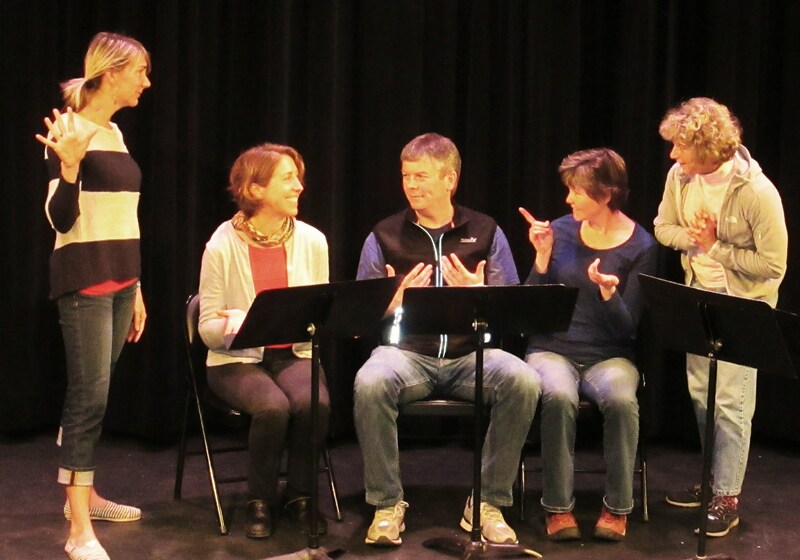 Directed by Ashley Lodato, the Readers’ Theater staged reading features Midge Cross, Danielle Micheletti, Jason Paulsen, Dani Reynaud and Laurelle Walsh. Contains adult content and language. Admission is by donation.